This unit group is for all industrial electricians: Industrial electricians install, maintain, test, troubleshoot and repair industrial electrical equipment and associated electrical and electronic controls. Marine electricians are responsible for the operation and distribution of electrical power onboard and within marine vessels and other marine devices. 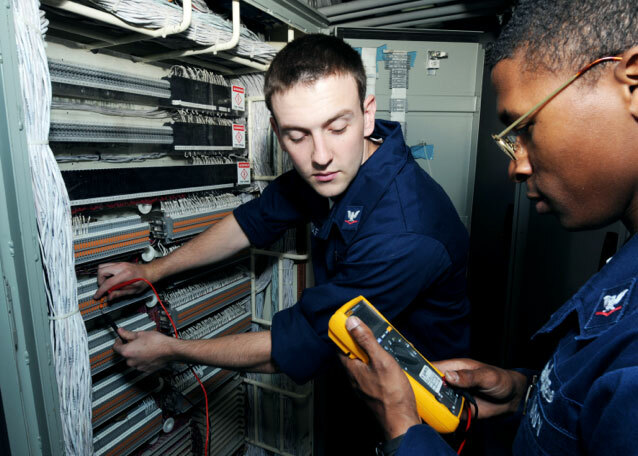 In the oceans technology sector, marine electricians install electrical systems, maintain, repair and troubleshoot electrical equipment onboard and within marine vessels and other marine equipment. They also work with blueprints and connect power supply circuits to radios and other electronic equipment. Good eyesight, colour vision, and hand- eye coordination are also necessary. Allows qualified tradespersons to practise the trade in any province or territory in Canada where the trade is designated without having to write further examinations. These programs are a first step towards Journeyperson Certificate in the Construction Electrician or Industrial Electrician trades.